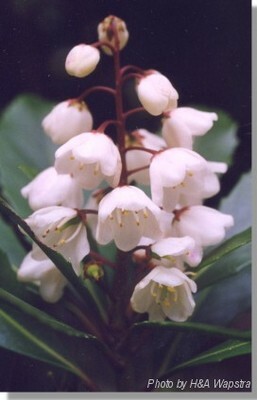 Tall shrub, straggly ,with branches tending to layer when growing in shady positions. Tas. endemic. Frequent in wet sclerophyll and rainforests from sea level to c900m Also found on sandy soils near the south coast. Susceptible to Phytophthora cinnamomi In cultivation this species forms a dense rounded shrub which is slow growing. Not suitable below powerlines. Fine seed should be surface sown or given a light cover. *Fresh seed is needed. Good drainage is essential.